Samsung is a leader of Consumer Electronics and mobile phones. I bet every household has atleast one product from Samsung. Given the rising air pollution levels, Samsung has jump in the Air Purifier business too. 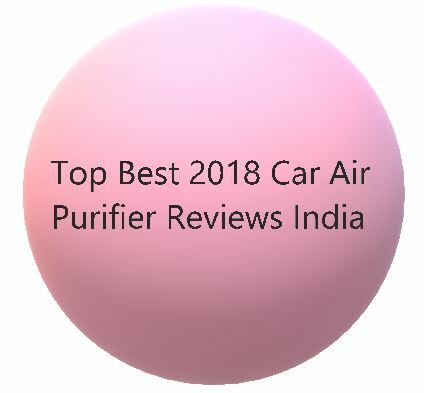 The air purifier market is currently dominated by the likes of Philips, Panasonic and Honeywell. In recent months XiaoMi has also covered ground and giving tough fight to the others. The MI AIR PURIFIER 2S is the latest model from MI. 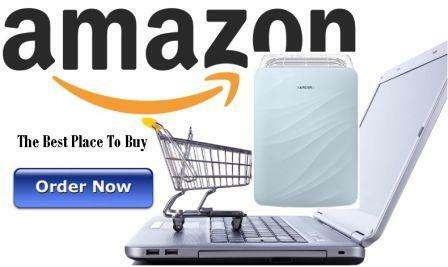 This AX40K3020WU Samsung Air Purifier Review would bring out the complete features. 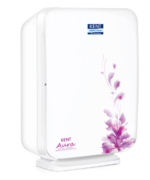 You can then compare and decide which air purifier suits your needs. 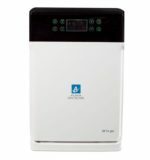 Samsung AX40K3020WU Air Purifier has the same set of ubiquitous features which other air purifiers offer. The air purifier costs on the higher side. Lets see what it offers one by one. 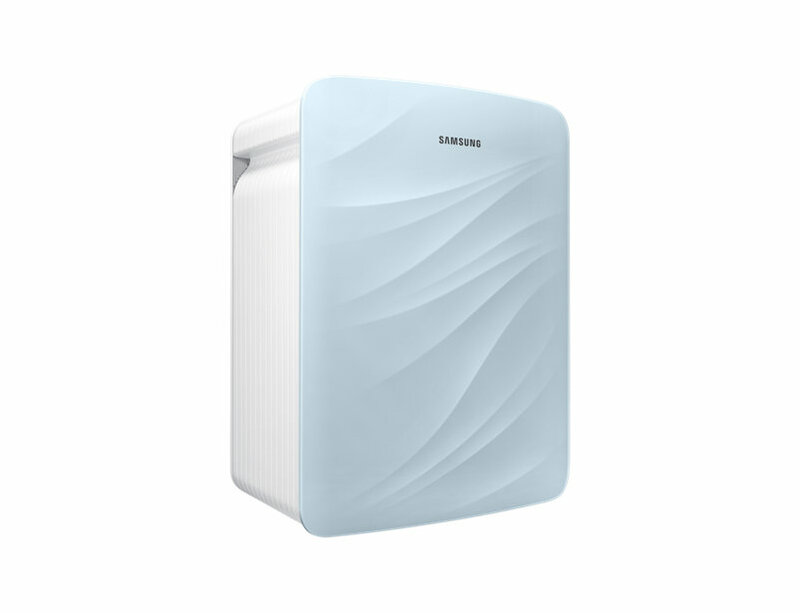 The Samsung AX40K3020WU Air Purifier cannot be rated high for it’s looks. The design is simple with light Blue and Pink body. Just a pattern of curvy lines impart what can be deemed a “design”. We have definitely seen incredibly smart and chic models like the Philips AC4372 or Honeywell Air Touch. 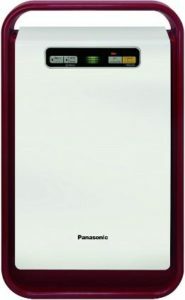 Air Purifiers with glossy control panels and different color LEDs are a norm. All these things are absent here. The body is made of ABS plastic and is compact. The Coverage Area is 419 sq.ft. 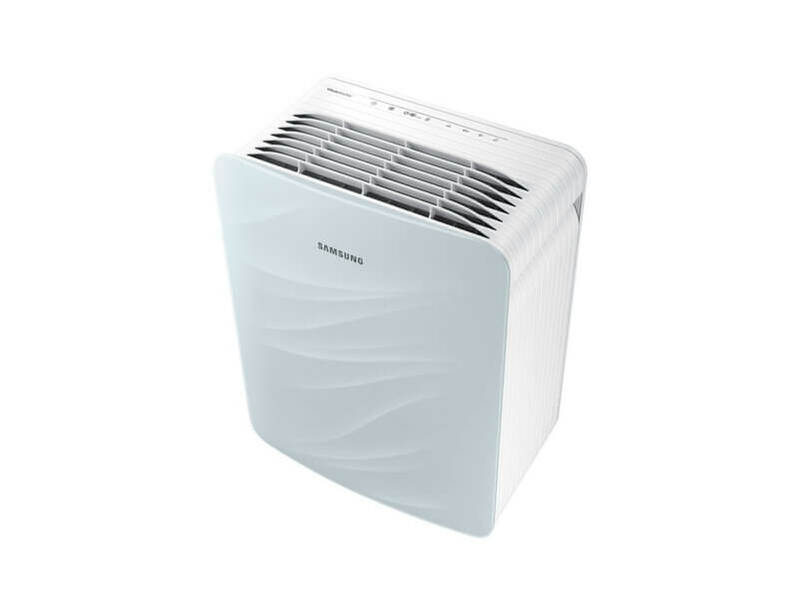 The Samsung AX40K3020WU Air Purifier has a 3-step air purification. There is a pre-filter which stops bigger particles and hair/fibers from clogging the real filters in later stages. The next stage consists of an integrated 2-in-1 PM2.5/Deodorization filter. Samsung doesn’t mention HEPA filters anywhere for this model. They have what is called a PM2.5 filter. So, in summary, this air purifier has a pre-filter and a compound filter with Activated carbon and PM2.5 filter combo. The PM2.5 filter effectively removes fine particles as well as cigarette smoke particles from the air. The PM2.5 filter has been treated with an anti-allergen and effectively removes allergens from the air. The filters have been tested in the KIMM (Korea Institute of Machinery & Materials) for 0.02 µm, 0.1 µm. This means that superfine particles much smaller than PM2.5 are also effectively removed. The company assures that the Integrated filter should last between minimum 6 months to maximum 1 year based on 24 hours of operation per day. You can obviously make the filters last longer if your usage is less. The operating environment pollution level is a big factor which drives filter life. A Filter replacement indicator will be turned on and notified you when it’s time to replace the filter. You can replace the filters earlier if they get too dirty, or emanates smells, or if you feel the fan speed has gotten weak with time. This is one feature which is normally not seen in most air purifiers. 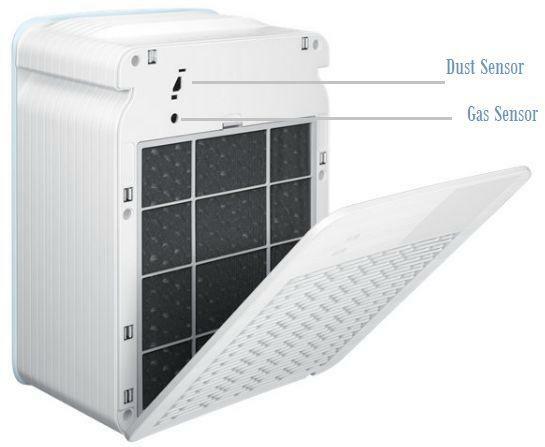 A similar feature is also present in the Gliese Air Purifier, we once reviewed. So what is Virus Doctor? Well, it is an ionizer. For those who know nothing or little about an ionizer, we’ll explain it. An ionizer chamber comprises of a mechanism to electrically charge the air molecules. The charged particles or ions attract dust, virus and bacteria which stick to to the surface of condensation plates. Ionizers are not advisable to use as they have been proven to produce ozone. Ozone may cause respiratory issues and can be very harmful in the long run. The Cleanness Indicator shows the air quality levels. It achieves it through the dust and gas sensors. Its advisable to clean the sensors occasionally with a cotton swab. 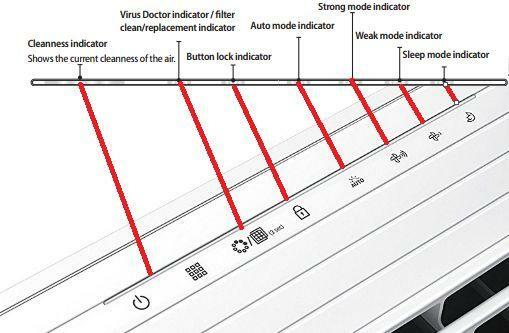 In Sleep mode, the cleanness indicator is turned off and only the Sleep mode indicator is turned on dimly. Child Lock function is called the button lock feature here. Press the button near the Lock sign for 3 seconds till a ringing sound comes. When the button lock function is selected, none of the buttons work. To undo this setting, again press the Lock button for 3 or more seconds. No doubt that Samsung products are high quality and that’s the reason why they are popular. Also, the price is on the higher side. This Samsung AX40K3020WU Air Purifier Review must have made it clear to you all your doubts. The Air Quality LEDs are not visible from all directions and the colors are hardly visible. 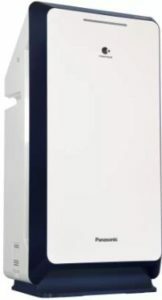 Take a look at the AC4372 or AC3256 Air purifiers from Philips, how generously they show colors! The Virus Doctor feature is OK if used in moderation and is generally over-hyped. The PM2.5 filter by default removes the viruses and bacteria. A quality product from Samsung, a brand you can trust. Average Looks and insipid design. Don’t buy it if you are looking for a showpiece or showy stuff. No Real-time Air Quality Reading or APP support which is always good to have. Ionizer if used carelessly may prove to be a source of dangerous Ozone. No Timer which is a shame at this cost.